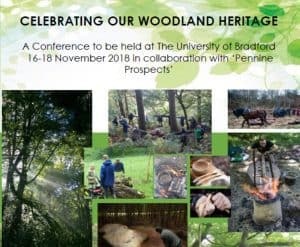 The programme has been announced for the Woodland Heritage conference taking place at Bradford University this November. The conference will promote the archaeology and history of woodlands located across the United Kingdom, as well as discuss the investigative techniques utilised by professionals, academics, community groups and the public in their research. 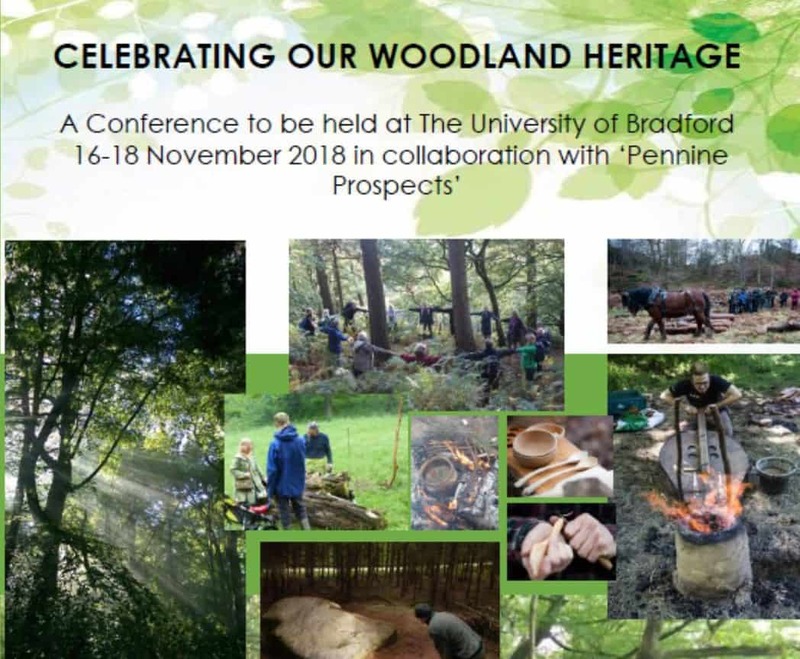 The conference, which is a part of the three-year programme to discover more about the heritage of ancient woodlands in the South Pennines region, will include national and international speakers from the fields of archaeology, conservation and education, including forest schools. Pennine Prospects’ Celebrating Our Woodland Heritage project is jointly funded by the Heritage Lottery Fund, Yorkshire Water, Newground Together and the Green Bank Trust, with support from the University of Bradford’s School of Archaeological and Forensic Sciences. This three year project (2016-2019) has sought to enhance our understanding of the historical and archaeological development of woodlands across the South Pennines. Until recently woodlands across the region have received little historical attention. As a result landowners and the West Yorkshire and Lancashire Historic Environment Records are lacking important archaeological information that would otherwise support any proposed woodland management activities. This project serves to rectify this situation, whilst raising awareness and promoting the history and archaeology of woodlands to the public. Through a series of archaeological surveys, workshops, excavations and Forest Schools; individuals, societies, pupils and families have been learning archaeological skills whilst contributing towards the regions understanding and appreciation of woodlands.